As usually, we’ve started our ascent to the ski area from the village of Grindelwald. We took the scenic mountain railway to Kleine Scheidegg. Despite it was a busy day, we were able board the train. Unfortunately, we didn’t get the seat and we had to stand all the way up. After app. 35 minutes of rather uncomfortable scenic ride, we’ve arrived to the top, to Kleine Scheidegg. There we hit the slopes and the fun began. 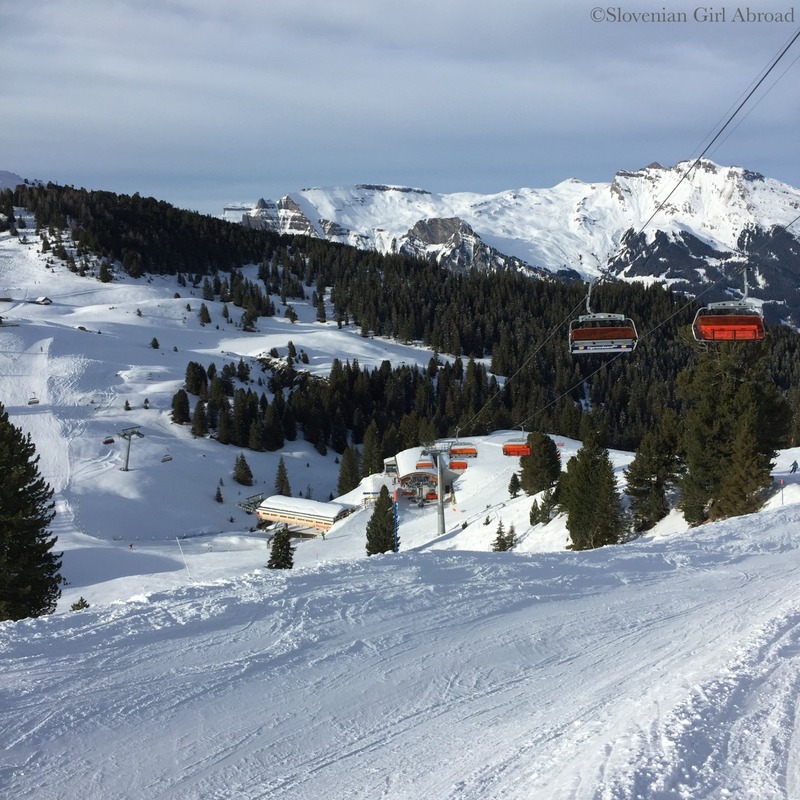 I like Kleine Scheidegg-Männlichen ski area not only because of its beautiful scenery, but also because it offers broad variety of slopes of all difficulties which are all well linked. You can easily ski from Kleine Scheidegg to Männlichen and back (or reverse) without taking your skis off. Once on skis, we’ve skied the pistes at the Kleine Scheidegg for a while, then we moved to the famous Lauberhorn piste – the longest downhill course in the world where FIS World Cup race is held every year. Skiing this 4.48 km piste took us all the way down to the Wengen village where we took the gondola to Männlichen. There we had a short break for lunch at one of the mountain cottages. With our bellies full and rested feet, we returned back to our skis. 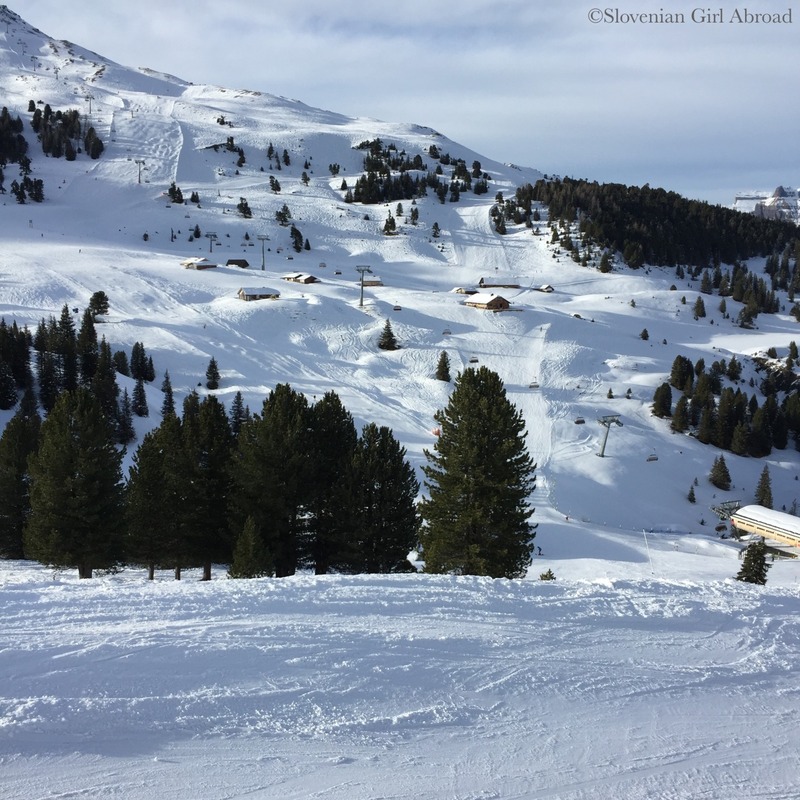 We’ve skied the Männlichen slopes for a while, then we returned back to Kleine Scheidegg from where we skied all the way down to the Grindelwald village. 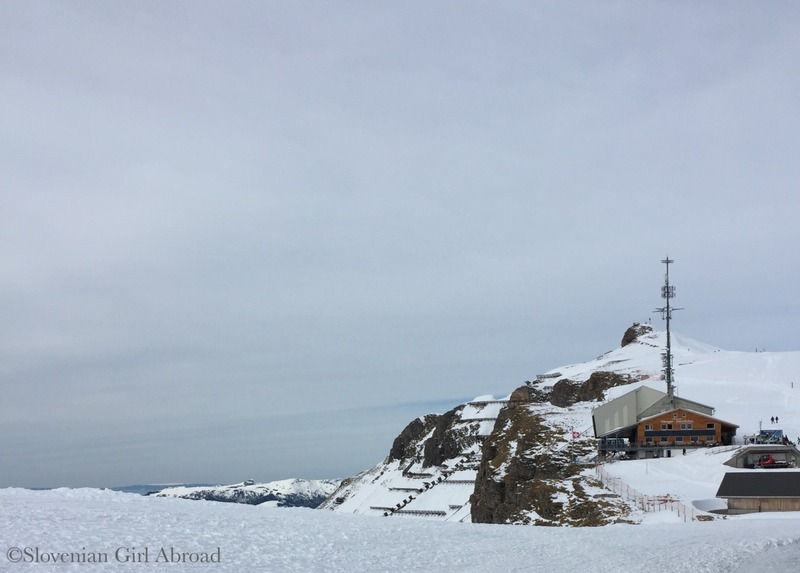 Similarly as in the other Swiss ski resorts is the infrastructure in Grindelwald a mix of modern and old lifts, gondolas and mountain trains. The lifts cope well with the masses of skiers. Despite the ski resort was rather busy, we’ve never waited longer than few minutes to get the lift. The sun was out for the most of the day and snow conditions were perfect. Skiing with the views to the majestic mountain peaks of Eiger, Mönch and Jungfrau mountains is always special. No wonder, we had another great ski trip. Wow I’m so jealous how often to get to the mountains, hehe 😉 As always amazing scenery! Hehe, I guess that’s one of the perks of living so close to the mountains. 🙂 Thank you dear! So beautiful. I was there in the summer many years ago. It’s a special place!